TORONTO, ON., (Nov. 17, 2014) – For the second time in a generation, Toyota has re-imagined the future of mobility. 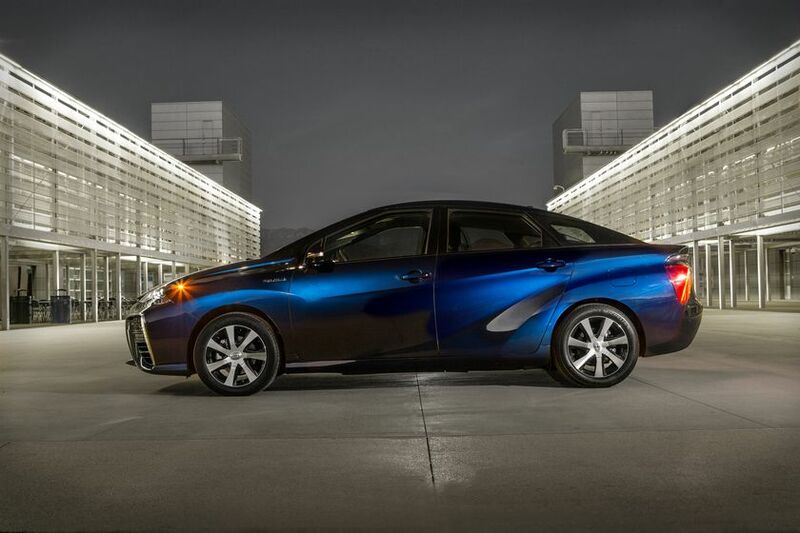 The Toyota Mirai is a four-door, mid-size sedan with performance that fully competes with traditional internal combustion engines – but it uses no gasoline and emits nothing but water vapor. The groundbreaking fuel cell electric vehicle is powered by hydrogen, re-fuels in about five minutes, and travels up to 300 miles (or around 483 kilometres) on a full tank. In its basic operation, a fuel cell vehicle works much like a battery electric vehicle. But instead of the large drive battery, Mirai’s fuel cell stack combines hydrogen gas from tanks with oxygen to produce electricity that powers the electric motor. Toyota began fuel cell development in Japan in the early 90s and have developed a series of fuel cell vehicles, subjecting them to more than a million kilometres of road testing. In the last two years alone, fuel cell test vehicles have logged thousands of kilometres on North American roads. This includes hot testing in Death Valley, cold testing in Yellowknife, Canada, steep grade hill climbs in San Francisco and high altitude trips in Colorado. The Toyota-designed carbon fiber hydrogen tanks have also undergone extreme testing to ensure their strength and durability in a crash.